In 1998, Judy and Dennis Shepard lost their son Matthew to a murder motivated by anti-gay hate that shocked and captivated the nation. Turning tragedy into a crusade for justice, their leading voice in the LGBTQ rights movement has since established The Matthew Shepard Foundation to carry on her son’s legacy. 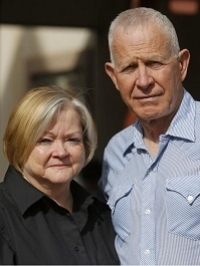 Later, Judy and Dennis spearheaded The Matthew Shepard Act, which expanded the federal hate-crime law to include crimes based on gender and sexual orientation. Judy and Dennis will share an intimate look at how their life and the entire fight for equal rights changed when their son was killed. Along with welcoming the Shepard’s to our conference, NAGLREP is proud to announce a fundraiser for the Matthew Shepard Foundation and all proceeds will go directly to the Matthew Shepard Foundation. Click here to donate! NAGLREP will also donate a portion of all conference registration sales to the Matthew Shepard Foundation.